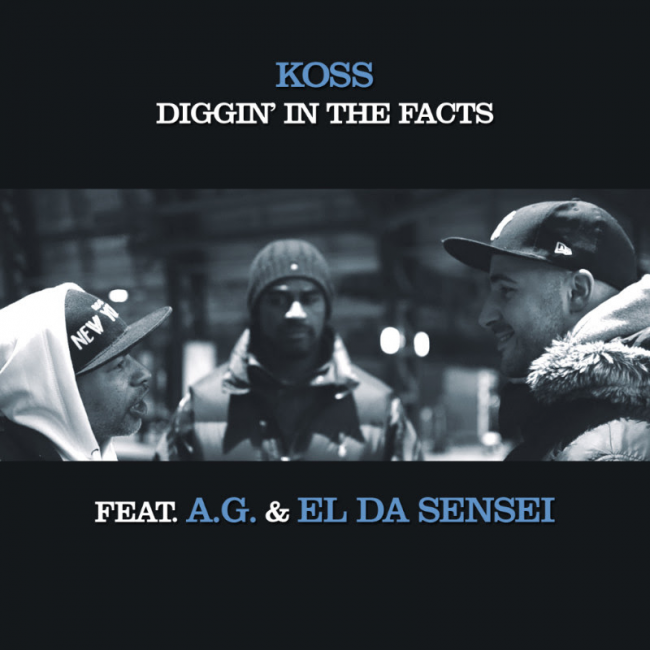 “Diggin’ In The Facts” is the new free single by Belgian producer Koss featuring A.G. and El Da Sensei. Koss’s new album “Born To Live” is set to release on September 8th. The producer/emcee collaboration album includes features by Torae, Masta Ace, Large Professor, Craig G, Marley Marl, Blaq Poet, J-Live, Keith Murray, Ruste Juxx and remixes by Large Professor, K-Def, 12 Finger Dan and B-Base. The album will be available on digital/CD via Below System Records and vinyl via Slice Of Spice Records.